Josh Lovatt passed his driving test today at Rhyl. 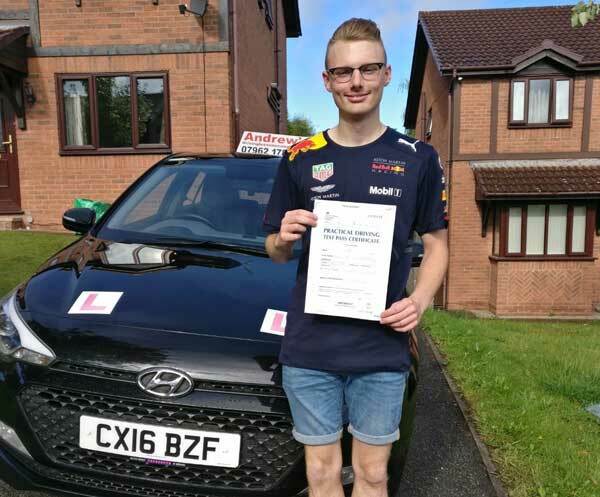 Josh from Llysfaen , Colwyn Bay passed on his first attempt at the driving test. Josh passed first time after a course of driving lessons in Colwyn Bay with Naz. Call us now to book your lessons in North Wales, we cover From Holyhead along the North Wales Coast to Prestatyn. Book your lessons with us and pass first time. Learner drivers are now allowed to have driving lessons on Motorways. This new ruling came into force on 4th June 2018. What you need to know if you need to take an extended driving test. All of the questions that you may be asked on the new driving test. A few guidelines to help you with private driving practice. Breakdown cover is essential if travelling far from home or on motorways, read our guide explaining different types of cover available. Clearly marked diagram of Hyundai i20, labelled for show me tell me questions.